Advisor to Fino in transaction with HSBC Bank, Intel Capital, and the International Finance Corporation. FINO, India’s leading end-to-end Financial Inclusion solution and services provider for unbanked & under-served rural markets, has raised growth funding of INR 70 Crore from wholly owned subsidiary of the HSBC Asian Ventures Fund 3 (HSBC) a fund advised by HSBC Private Equity Asia Limited (HPEA) Group and its existing shareholders Intel Capital (Intel) and International Finance Corporation (IFC). HSBC and Intel have also purchased the entire of Legatum Ventures’ (existing investor) stake in the company. Commenting on the investment, Manish Khera, CEO of FINO said, “The new equity in FINO has come at an opportune time when Financial Inclusion is being seen not as desirable but as a necessity for growth and stability of social fabric in the country. The capital will help FINO further the cause of financial inclusion. 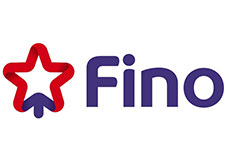 FINO is privileged to be a sectoral entity with its existing set of banking and insurance investors which is further augmented with the entry of HSBC as one of its key investors”. FINO provides technology solution and services to enable financial institutions reach out to the under-served & the unbanked sector of India. The company provides end-to-end solutions right from the technology back end support to the sourcing and disbursement of cash on the front end through its established field agent network. The Company has a comprehensive product suite ranging from savings bank accounts, loan products, recurring deposits, remittances, insurance products, government disbursements etc. FINO is also involved in governmentfunded schemes such as the National Rural Employment Guarantee Act and the Rashtriya Swasthya Bima Yojana through ICICI Lombard. Please visit www.fino.co.in for more information. HSBC's Asian private equity operations were established in 1988 in the Hong Kong SAR by HPEA, the Asian private equity arm of the HSBC Group. HPEA advises both expansion capital and buyout focused private equity funds as well as venture funds. The venture funds focus on small and mid-sized technology and consumer focused companies with significant interests in Asia. Please visit www.hsbcnet.com/pi/asia for more information. Intel Capital, Intel's global investment organization, makes equity investments in innovative technology start-ups and companies worldwide. Since 1991, Intel Capital has invested more than US$9.5 billion in over 1,050 companies in 47 countries. Please visit www.intelcapital.com for more information.